Lekking is no doubt one of the most fascinating behaviours on the bird world. Maybe because somehow we can relate quite a bit to it. Males competing for females attention is no completely unfamiliar to us know, is it? 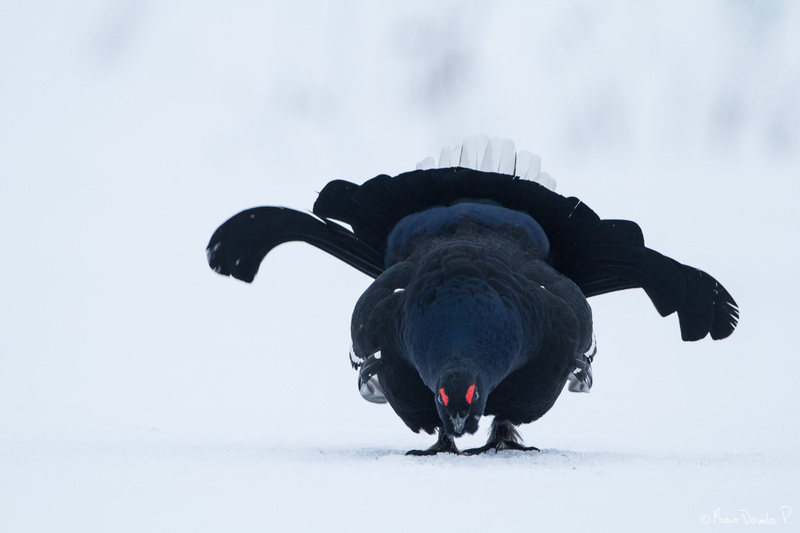 I was lucky enough to visit the Black Grouse lekking site twice while in Finland. These beautiful birds tend to use the same site for over a decade and the opportunity to observe this experience is priceless. The birds dark plumage is very hard to photograph against the white snow, but once you get a good shot, every degree of cold is worth it. After 243 species, the Black Grouse remains on my personal top 5. I can’t wait to go back. The gulf oil leak continues it’s so tragic I am not sure why the leak has not been plugged but it is not a tech problem. As we head from fiat to commodity backed currency I look forward to the freedom and spending based in and on reality. The move from fossil fuel waste to sustainable\renewable energy use excites me as well. After all this stuff has been pressing since at least the earlt 70’s. Did Goldman pull the buys and send the DOW down 1000 pts in order to persuade the politicians to vote against the too big to fail bill as Max Keiser claims? After all he did write the software. This would certainly explain the jump down and back up of the DOW. Is it possible that the banksters are this politically dominant? Clearly I am missing a key bit of information from what I read on GATA’s site and what I heard at King World News the precious metals price manipulation has become public knowledge yet I cannot find it in any news sites. How is this possible? A financial fraud far larger then anything the world has ever seen apparently carried out by well-known traders backed by the US govt among others cannot be covered up. Even if the financial world does not want to admit it or even acknowledge the fraud it still is public.